If you are interested in entering the field of locks, keys and more it is important to learn what such a profession entails and the best ways to achieve certified results. Contemporary locksmiths no longer exclusively focus on locks and keys but also cutting keys and complete home automation systems. To learn how to become a locksmith UK residents can partake in the relevant courses and gain practical experience to pursue a professional status. A major role of locksmiths is to help residents and business owners when their keys go missing, are broken or locks need repairs. When you cannot get into your car or stuck outside your house, naturally, the locksmith is the one to call. Today, locksmiths can also assist with your CCTV systems, make new keys for entryways and advise on suitable security features and products for your home, business and basic locking needs. To become a locksmith, you do not have to enter into a college or specialised school to become a professional. To learn how to make locks and understand the industry, you can complete specific courses that should help you in your business and professional pursuits. Locksmiths do not require any type of formal qualification but relevant experience can help you gain the necessary expertise and exposure. By completing the relevant coursework you can achieve certification. You will proceed to find an apprenticeship working under the guidance of a professional instructor to develop the appropriate knowledge and hands on experience. It is the fastest and most effective way to gain the knowledge and the awareness necessary for various residential, commercial and other needs. To find appropriate courses, you can conveniently sign up for training online. The online programs will provide the opportunity to gain in-depth awareness of older and more recent practices in the industry. To become the appropriate locksmith, it is necessary to gain practical experience and awareness to best provide for the needs of your customers. Although locksmiths operate from a business premises, you will be required to drive to various locations to assist people in emergency situations. Being locked out of your home or car or being unable to find keys to secure your property can pose a risk. Locksmiths must have the technical expertise and specialisation to repair faulty locks or cut keys to get individuals back into their properties. 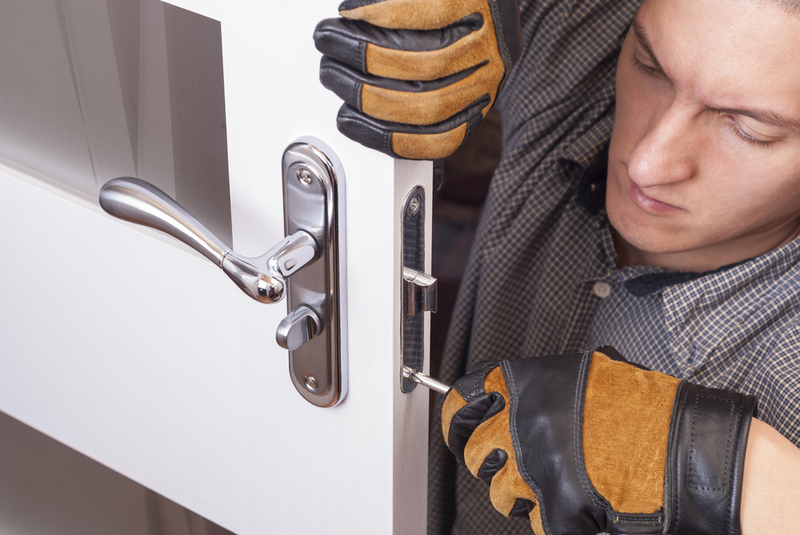 Locksmiths provide various services from fixing faulty locks to advising on locks for security. Estimates must be delivered to customers, security systems such as CCTV sold to customers and general knowledge of products and services, a must. With the correct approach and keen willingness to learn, you can soon be on your way to becoming a locksmith. A career as a locksmith can be a lucrative one wit the correct approach and the development of both practical knowledge and theoretical awareness. If you wish to pursue this profession in the UK, finding a reputable business will provide the best experience allowing you to develop your apprenticeship. Simply work towards finding a certified locksmith who can help you achieve the relevant qualifications and support your interests in becoming a certified professional.